Despite what you may think, roast pork only takes about an hour and comes out of the oven perfectly moist and full of flavors. 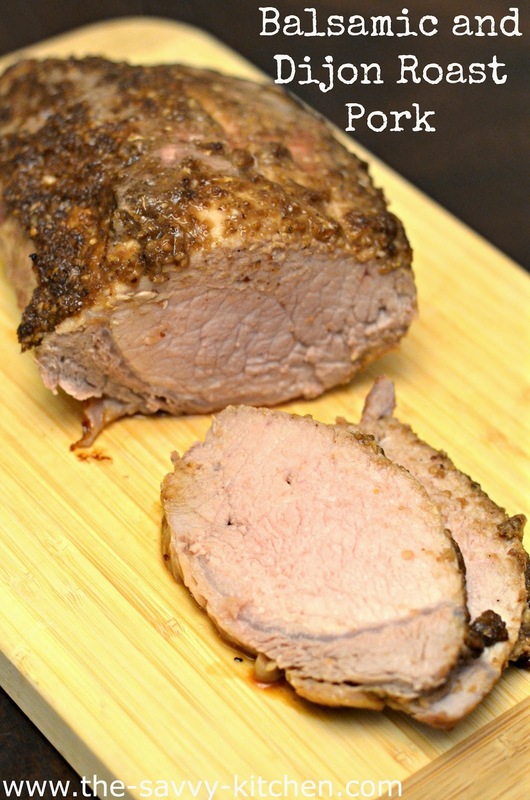 I chose bold flavors for this roast (balsamic vinegar, Dijon mustard and onions), but we enjoyed the combination since the pork didn't turn out bland or boring. Pork is also generally inexpensive, so you can have a delicious and wallet-friendly meal on your table in no time. Enjoy! Preheat oven to 350 degrees F. Spray roasting pan with cooking spray. 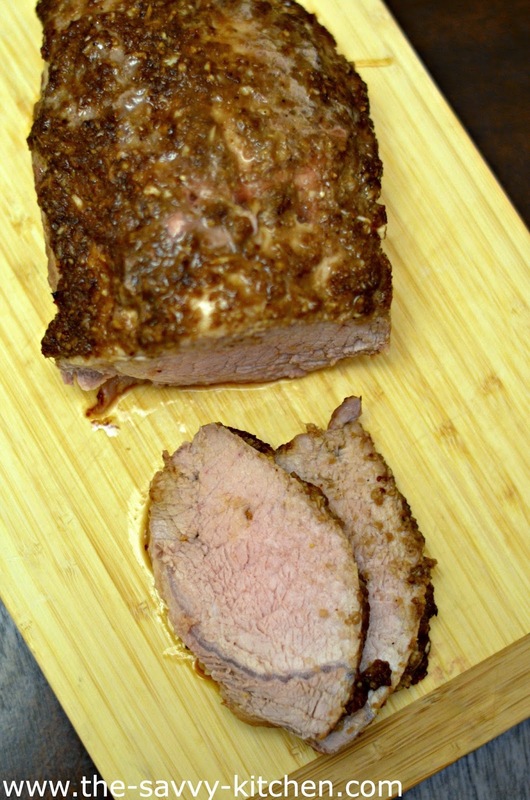 Use paper towels to pat the roast dry. Put the pork on the prepared roasting pan. Add onion, olive oil, balsamic vinegar, garlic, Dijon, salt and pepper to a food processor. Slowly pulse until it becomes a paste. Spread mixture on top of pork. Roast for 45 minutes to 1 hour (about 20 minutes per pound) or until the internal temperature reaches 145 degrees F.
Remove the pork from the oven and allow to rest for 10 minutes. Slice and serve. Welcome to my blog! I hope you guys enjoy my recipes as much as I enjoy making them. Check back soon to see what's cooking in The Savvy Kitchen! ©The Savvy Kitchen, 2011. Powered by Blogger.